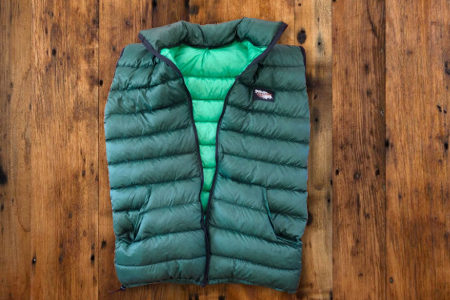 FEATURES: Full zipper front, collared, front pockets, drawstring at waist. 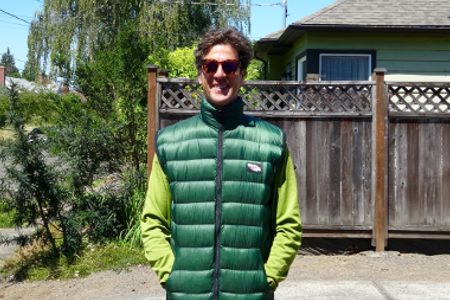 This down vest was custom made for Erik Soltan of Get Out Backpacking (Photo Cred: Erin Soltan). 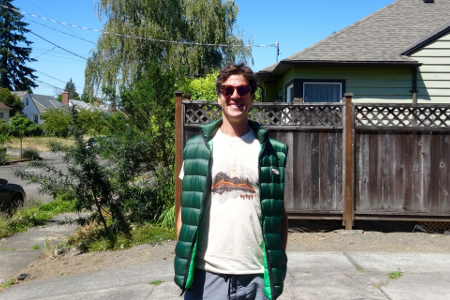 Eric found himself in need of a vest that would fit his 6″5 tall frame and soon discovered that all of the commercially produced vests out there were either not packed with enough down, or were too bulky for long distance treks. This vest was customized to his needs.